We invite you to share the power of a live theatre experience with your social or professional organization, colleges, students, friends and family, or any other group. We will do our best to make your trip to the theatre special, fun, entertaining, and as hassle-free as possible. Gather a group of 10 or more and choose your preferred performance date as well as two backup dates and contact TimeLine to check ticket availability. Confirm your group reservation by completing our group sales contract and submitting a 25% non-refundable down payment. Three weeks prior to the performance, confirm your final headcount and pay the remaining balance. If the remaining balance is not received by the deadline, we may release your reservation. We accept group reservations for all season performances at any time, even before single tickets go on sale to the public! Please contact groupsales@timelinetheatre.com or 773.281.8463 x6 to inquire about specific pricing for your group. NOTE: All rates listed here reflect payment received via cash or check. Additional per-ticket fees apply if paid via credit card. If you have at least 10 people, then you’re a group! We can accommodate groups of up to approximately 75 people. Be sure to confirm the maximum number of seats available when booking your group reservation. Can we get tickets to any performance? Many of our performances sell out fast, so it’s never too early to contact us about your reservation! Note that some performances are not available to groups. TimeLine’s seating is general admission, and the house opens 30 minutes prior to curtain. 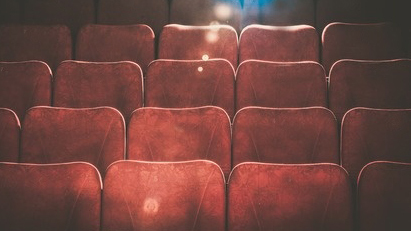 To seat as much of your group together as possible, everyone in your group should arrive at least 15 minutes prior to curtain so they will have ample time to check-in and get settled before the show begins. We are not able to reserve seats for groups. Due to the configuration of the theater, latecomers will not be seated. We are a ticket-less theater. As the group leader, you may pick up programs, which serve as tickets, at our Box Office when you arrive for the performance. Alternatively, you can provide a list of the names of your group members for individual check-in. Reservations are held under the group’s organization name, unless otherwise specified. When do I need a final head count? Your final head count is due three weeks prior to the performance. At that time, you may reduce your number of tickets (not to go below 10 to maintain group discount), or purchase additional tickets at the group sales rate. Additional tickets subject to availability. All group sales deposits and final payments are non-refundable and ticket exchanges are not permitted. Any tickets that go unused on the day of the performance may be given to the box office for a tax deductible donation letter, which will be mailed to you and your organization at your provided address. Interested in bringing a group? If you’d like to learn more about bringing a group to TimeLine, or already have dates in mind, please get in touch with us! Our Audience Services staff is available to help. Call 773.281.8463 x6 or email groupsales@timelinetheatre.com.